Wuthering Heights and ghostly wanderings are very much at home on the moorlands of Devonshire and Yorkshire. The moorlands England's West Country have a natural beauty that is lovely to see. What is not always seen is deeper. It is the lingering spirits and forbidden love of Heathcliff and Catherine of Wuthering Heights locked in eternal brace. And something darker - the ghostly wanderings of menacing spirits that inhabit the moors. 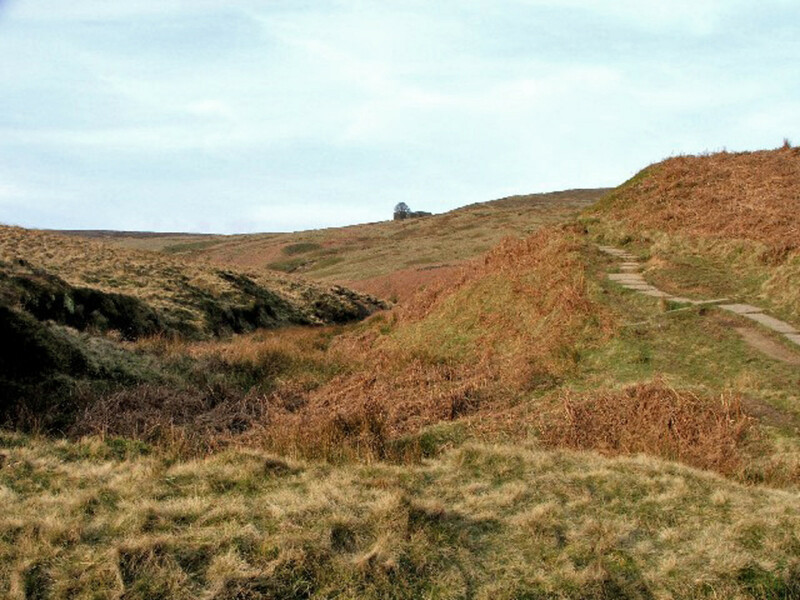 The moors are ravaged by westerly winds, bringing with them unsettled and windy weather, particularly in winter. The winds in spring and early summer bring the heavy mists which hover over the land like lost souls looking for a final resting place. For those who know and love the story of Wuthering Heights, one can clearly imagine Emily Bronte's Catherine and Heathcliff, standing at the top of one of the crags, his arms around her, her back to him, head resting on his chest, staring out across to the haunting home they grew up in. Catherine's long, thick hair and dress skirts billowing out, Heathcliff's wild tangle of curls ruffled and forced back off his dark and passionate brow. They were there, running with the wind, hand in hand, laughing with no thoughts of anything but each other. - together at last for all eternity in their forbidden love for each other upon their beloved heather covered moorland where they played and loved since childhood. The hauntingly beautiful portrait of Emily above looks very much like Catherine. The story of the two doomed lovers was the only book written by Emily Bronte. Catherine died in a fit of defiance against her husband, Edgar Linton, and all who forbade her to return to Heathcliff and the moors. For years she haunted Wuthering Heights, the old manor where she grew up with Heathcliff. She haunted him till the day he ran out on the moors, so insane and desperate he would reunite with her in spirit, which he did. His body was found one night in Caterine's childhood room, but his spirit was seen out on the moor where Catherine's spirit called to him and, together again, they held hands as they walked up to their favorite place near the crags. This is a story of a deep, enduring love that one will not soon forget. The setting for Wuthering Heights was West Yorkshire, England. Emily Bronte supposedly was inspired by two estates that were, in her time, still quite lovely. Top Whithens, now in ruins, was a farmhouse near Haworth, West Yorkshire. This was a popular walking area for residents and still is today very much an attraction for tourists as well as residents. Even though the house does not match Bronte's description of Wuthering Heights in her novel, the setting in the country side is very much like what the Heights would have been. 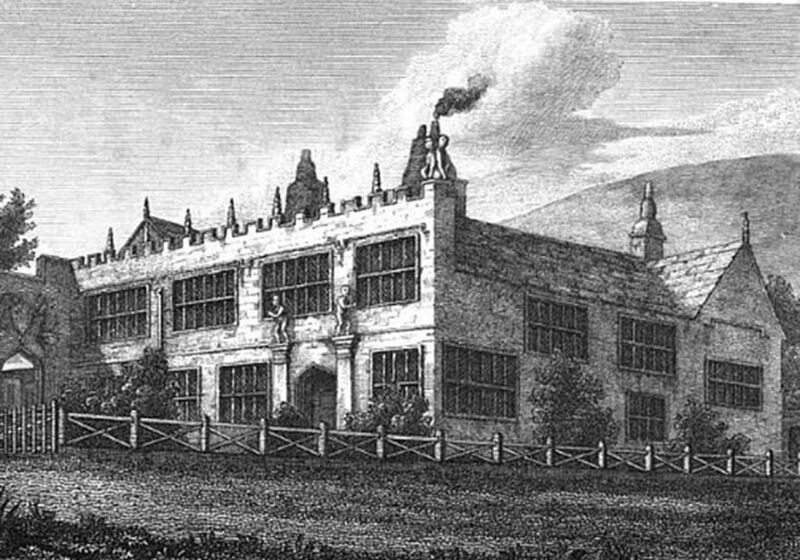 High Sunderland Hall, just outside Halifax, West Yorkshire, is also considered an inspiration to Bronte for her novel. Although far too elaborate for the farmhouse, Emily Bronte may have used the grotesque figures on the building for inspiration of her description of Wuthering Heights. - Lockwood, character and narrator of the story. There is a lot more than wild, abandoned love and romance among the moors. The moors seem to bring out the passion of lovers as well as the passion of murderers, and the eternal wanderings of ghostly hounds. This is where Squire Cabell supposedly murdered his wife in 1677. This is where the faithful hound of the murdered bride returns each year to haunt the ancestors of Cabell. This is where Sherlock Holmes encountered the Baskerville hound. This is also where the Black Shuck roams. Squire Richard Cabell of Buckfastleigh in the Devon, England countryside, was a local squire in the 1600s. During his lifetime he was thought of as a monstrously evil man. It was believed that his reputation became such for his immorality. If that was not enough, it was also believed that one night out on the moors, he murdered his lovely wife whom he had accused of infidelity. The Squire, as his father before him, supported the Royalists, who taxed peasants instead of the rich landowners. The family was very unpopular with the people of the land because of this. They believed that Squire Cabell sold his soul to the devil. After the Royalists were defeated in the English Civil War, the Squire married Elizabeth Fowell, the daughter of the local tax collector, hoping to rid himself of the bad reputation. Cabell became so insanely jealous and abusive towards the unfortunate lady that she escaped one night with her dog and fled across the moor. The moor is the mysterious and gloomy land even during the day, and dangerous at night when the mysterious and evil wanderings of hounds are often seen or heard and the treacherous landscape awaits the traveler unfamiliar with the dangers thereof. 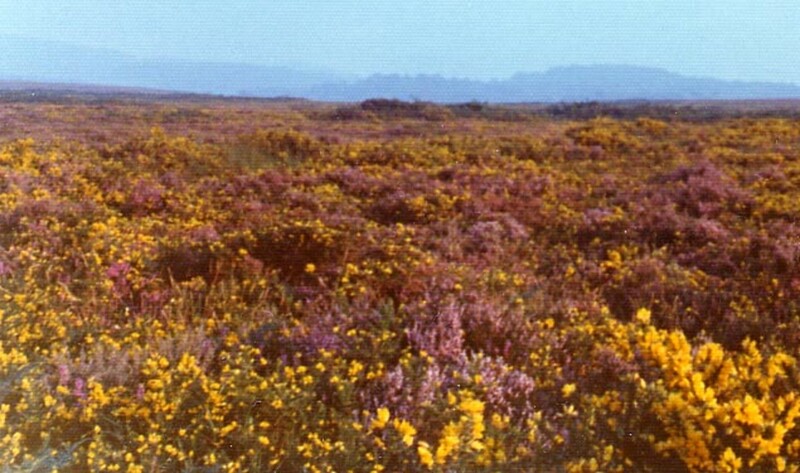 Higher above the pleasant English countryside where hedgerows confine lovely and orderly gardens, the moors are a wild and inhospitable land of harsh winds and rain, an infertile wetlands covered with tenacious gorse and grasses, a desolate land, violent and brutal. It is full of granite towers, spires, and cliffs and amongst them the acidic waters of the bogs. It was here that Cabell ended the life of his bride in a fit of jealous rage. When she tried to flee with her faithful hound, Cabell gave chase and caught up with her. He beat her savagely. That was a huge mistake, for his wife's loyal hound was still by the side of his now dead mistress. The hound grew in size till his skin was stretched so tight his skeletal frame could be seen. It's eyes glowed with rage and it turned on Squire Cabell and ripped his throat out. The hound then died from knife wounds received by the Squire during the bloody battle. Ever faithful, the hound returned to haunt each new generation of Cabell's family with vengeance for his beloved mistress. This was not the end of Squire Cabell's evil ways, however. His ghost is said to still haunt the moors on the anniversary of his death in July. He is sometimes seen roaring through the village in a coach pulled by headless horses and driven by a headless coachman. Not long after Cabell was interred in the family tomb in the Holy Trinity Church graveyard, strange and frightening incidents began occurring. On stormy nights, Cabell would rise from his grave and, with a pack of hounds, would go out on the moor, searching for Elizabeth. The Squire's eyes would glow with a red rage and he would attack anyone who was unfortunate enough to be in his path. Even after the town's people placed a heavy stone slab over Cabell's grave, the ghost continued to rise and raise havoc. A stone sepulchre with a heavy wooden door, and metal bars on the windows was built around the grave. There is still seen today a frightening and threatening red glow drifting from the sepulchre. Local lore has it that if you run around the building seven times and put your hand through a window, the devil, or Cabell, will bite your fingers. Although this legend may not be true, it is still talked about and believed by many. Some say that Mrs. Cabell actually outlived her husband by twelve years or more. 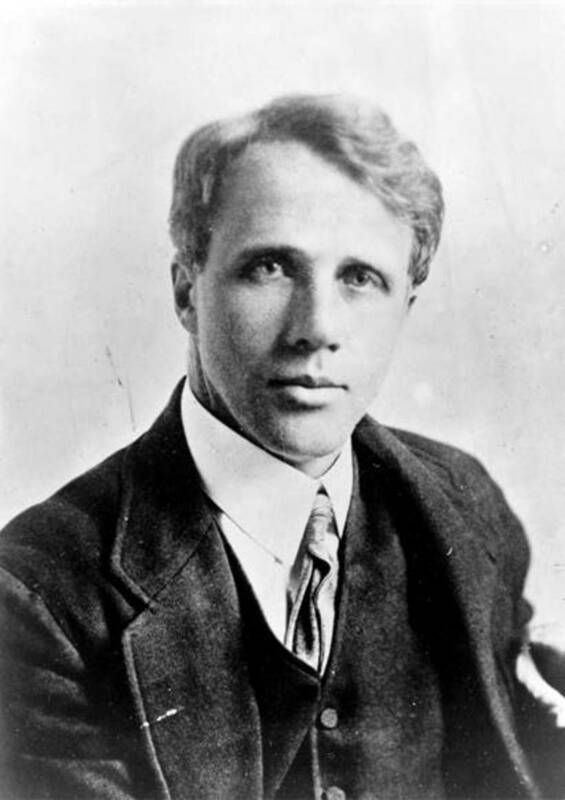 Rolling pasture lands curved upward on either side of us, and old gabled houses peeped out from amid the thick green foliage, but behind the peaceful and sunlit countryside there rose ever, dark against the evening sky, the long, gloomy curve of the moor, broken by the jagged and sinister hills. 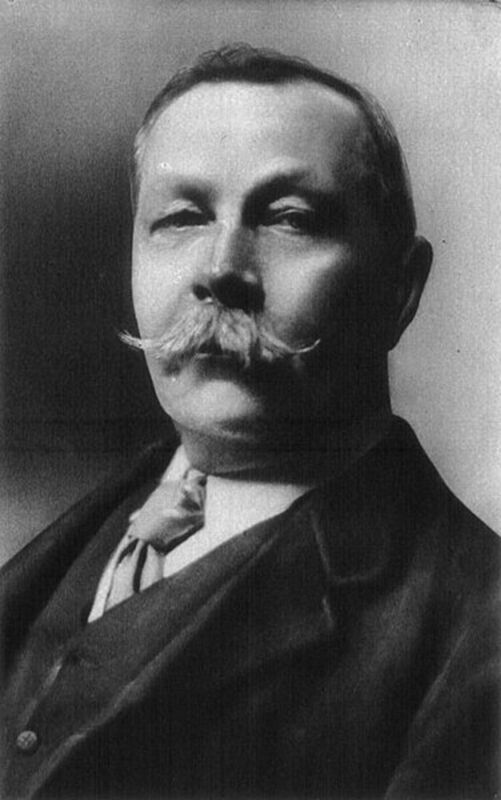 Arthur Conan Doyle was the Scottish author and creator of Sherlock Holmes. The myths of Dartmoor and the moors sparked Arthur Conan Doyle's imagination and he wanted to hear more. 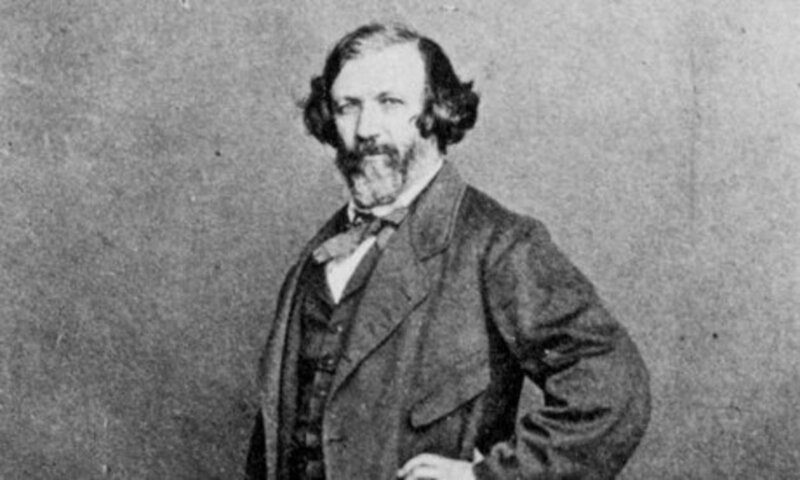 Bertram Fletcher Robinson, a journalist and friend of Doyle's, was more than agreeable to sit with Doyle in the hotel they were staying at in Norfolk and tell the local tales of Squire Cabell, his vicious killing of his wife, and the deadly attack on Cabell from his wife's faithful hound. The hound also died that same night from Cabell's knife wounds and haunts the moors just as Cabell does. This was the inspiration for The Hound of the Baskervilles that Doyle wrote. Tales of a large black hellhound with malevolent flaming eyes of red, the Black Shuck, or the Doom Dog, runs wild throughout the moors. It is said that his appearance bodes ill to the beholder and terrifies his victims then leaves them with the horrifying nightmares that plaque them in their sleep at night. Sometimes the Black Shuck has appeared headless, and at other times he appears to float on a carpet of mist. According to folklore, the spectre often haunts graveyards, side roads, crossroads and dark forests and the moors of England, just as the monstrous hound that Sherlock Holmes' was searching for on the moors. The Black Shuck drifts in from the restless seas and can take on many forms other than a black dog the size of a donkey. Seeing this creature is really bad luck for the unfortunate who may be around at the time, but, if you ever see one, do not, repeat, do not, gaze into it's eyes, for to do so, those glowing eyes looking back into yours would be an omen of death. Local lore has it that this phantom dog has eyes that bleed fire and haunts the countryside, looking for it's prey. But this ghostly hound seeking revenge on each generation of the Cabell family is not alone on the moor. Other legends told of howling black hounds unleashed on the moor upon Cabell's death, the Whist Hounds, a howling pack of gigantic, red-eyed dogs, said to stalk the moors with the devil; and, of course, the Black Shuck of Dartmoor, the enormous hound with flaming eyes that looked for unsuspecting travelers foolish enough to cross the moors on late nights. 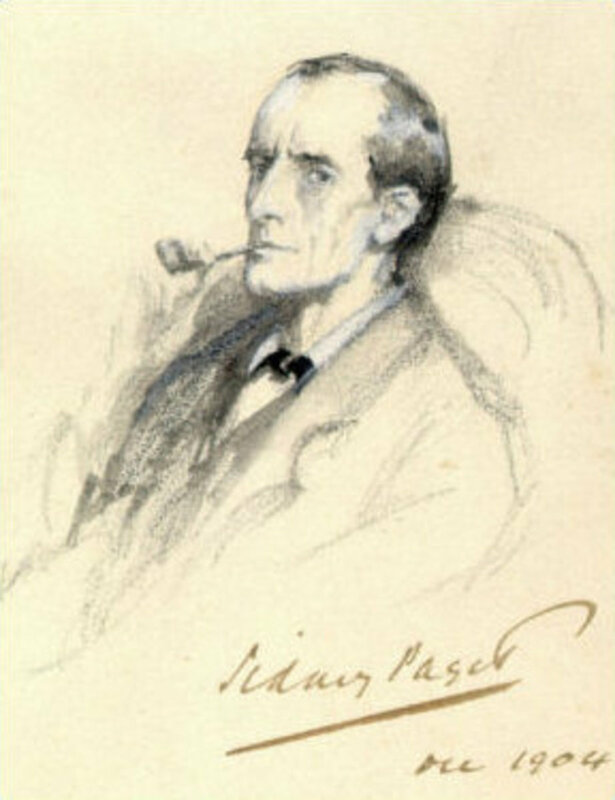 Have you read Hound of the Baskervilles, or other Sherlock Holmes stories? Yes, I read Hound of the Baskervilles. Yes, and several other Sherlock Holmes stories. No, I have not read any stories about Sherlock Holmes. So, if you are seeking romance in the lovely English countryside, stay clear of the moors at night. During the day the lands are breathtakingly beautiful with the English heather and other wild flowers, butterflies and birds flitting about, the lovely roaming hills, the fresh scent of the sea. One could get lost in their own romantic imagination there. 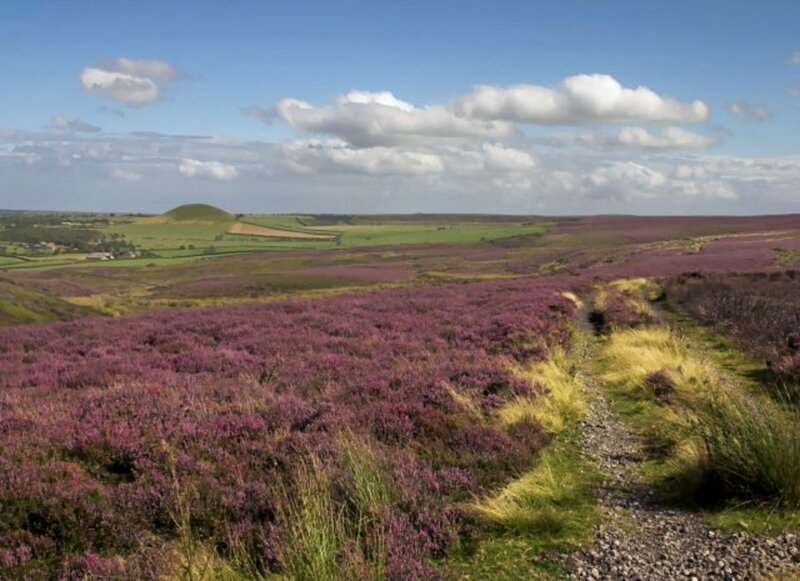 Driving by all this beauty makes one want to stop, jump out of the car and run across the heather laden hills as Catherine did when looking for Heathcliff. But, only the very brave or the spirits of the ones very much in love, like Catherine and Heathcliff, who know every inch of the land that offers so many surprises, dare traverse these moorlands when the sun sets. 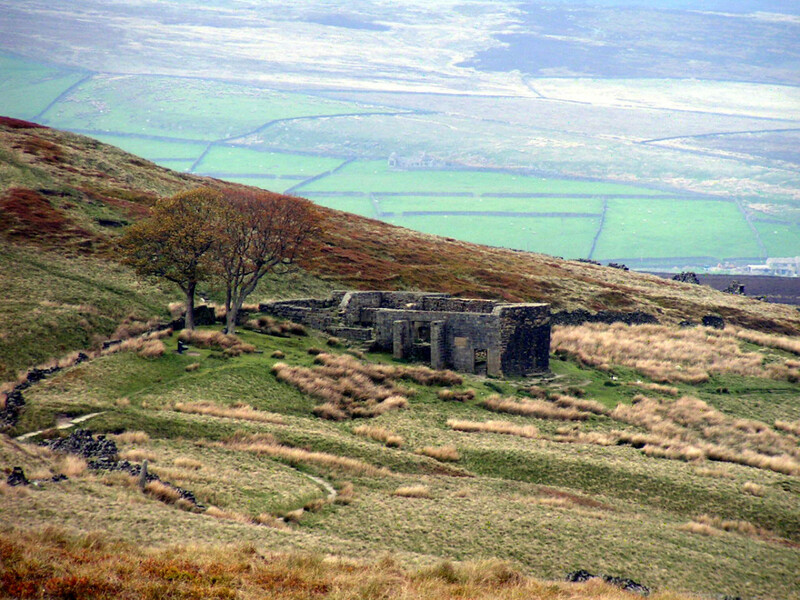 Top Withens farmhouse that may have been inspiration for Wuthering Heights. Where Sir Arthur Conan Doyle stayed to learn about the moors and ghostly legends,. Grotesque figures around the gate were another inspiration for Wuthering Heights. 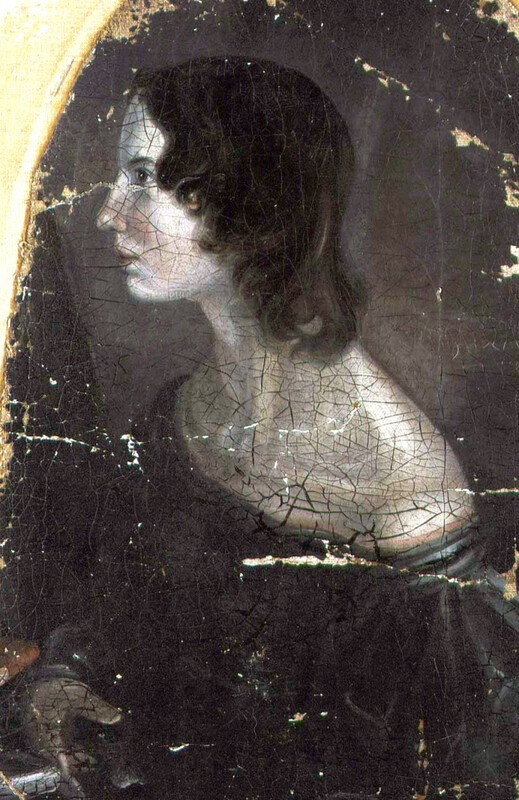 Emily Bronte: Did the Writer of Wuthering Heights Have Asperger's Syndrome? So do I, Audrey. Ol' Squire Cabel is quite a character. Thanks for reading and commenting, Audrey. Have a great day. Hi Dolores, it is good to hear from you. The moors really are beautiful in their own way. They truly are Nature in a powerful way. I agree - I would stay clear of them at night. LOL Thank you for reading, voting and sharing. I really appreciate it. Hi Thelma.You are most welcome. I love it when someone tells me they read Wuthering Heights over and over. I bought my book many many years ago from a second-hand book store and read the story at least once a year - the book was quite old when I bought it so I am very careful not to let it get tattered. I love it. The characters come alive when the book is opened and I feel transported back to the past. I would love to visit the moors. Beautiful hub! Wuthering Heights is the most awesome book I keep on repeating reading in my life. I love the story about this Squire Cabell too. Fascinating. Thanks for sharing. Someday I'd love to visit the English moors. They look so beautiful! But not at night! I loved this hub on how the moors have influenced such wonderful books and have been fascinated with the place since I read Wuthering Heights as a young girl. Voted up and shared! Oh great news my friend! Shoot me an e-mail when you up to it. Hi Marie. Thank you very much for such lovely praise. That heather is so pretty, glad you like the photo. It is very romantic and nostalgic. Thanks for reading and commenting, Marie. Phyllis, I have put my quilting aside for awhile in an effort to catch up on some Hub Pages notifications. I finally got to this one. Well written! You've blended historical folklore, fact, and fiction all together with a compelling mood. Very nice. From a spiritual perspective, I'd be doing a lot of Violet Flame for that place if the folklore were even half true--those spirits, including the hounds, need to be set free! I love the picture of the heather--how beautiful! Voted Up, Beautiful, and Interesting. Hi Genna. I was thrilled to find photos of the buildings that inspired Emily Bronte's Wuthering Heights. 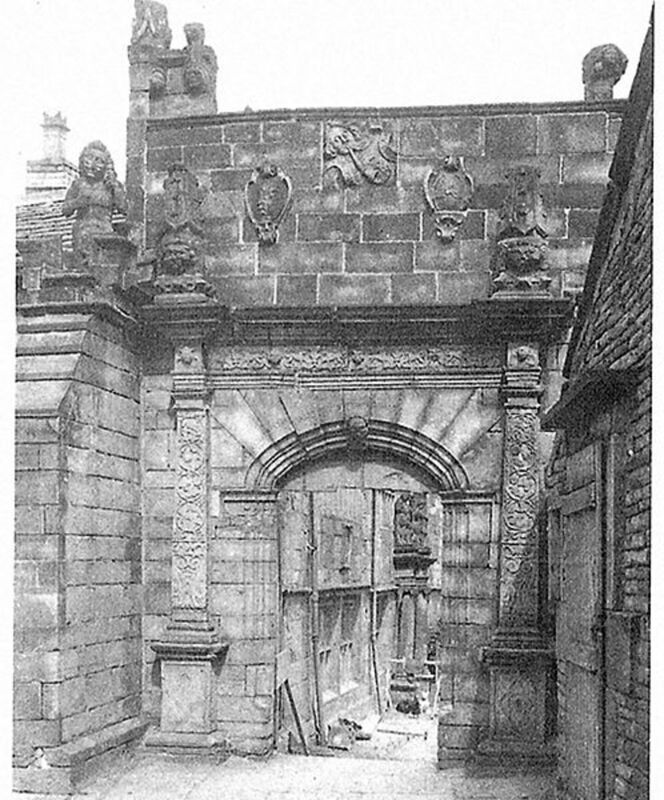 The grotesque figures on the High Sunderland Hall, and that gate is so like what she wrote in her book. Thanks again, Genna. I really appreciate your reading and commenting. Hi Jo. Ah ! Your young dreams took you to the right man - how delightful and romantic. Thank you so much for reading and commenting. I am so glad you enjoyed the article and traversing once again through the moors. Hi Phyllis. Bronte’s “Wuthering Heights” is a favorite book of mine, so I was especially interested in your title, and ghostly wanderings. I didn’t know that there were real structures that helped to inspire Emily in writing this masterpiece, and also references used in other classics such as Conan Doyle’s. Very interesting article, Phyllis! Wuthering Heights, Jane Eyre, and Lorna Doone are a few of the books that really got me reading during my teens. Heathcliff and Cathy fired my imagination to the point where I fell in love with Yorkshire, and surprise, surprise, I wedded a Yorkshire lad. An Excellent hub, thank you for taking me back to the moors. Hi Faith. Thank you so much for your glowing comment. I so appreciate this. I am, in fact, related to Arthur Conan Doyle on my father's side. That has always been a joy for me to know that. When I first started writing for the internet, one of my brothers said, "This is awesome. 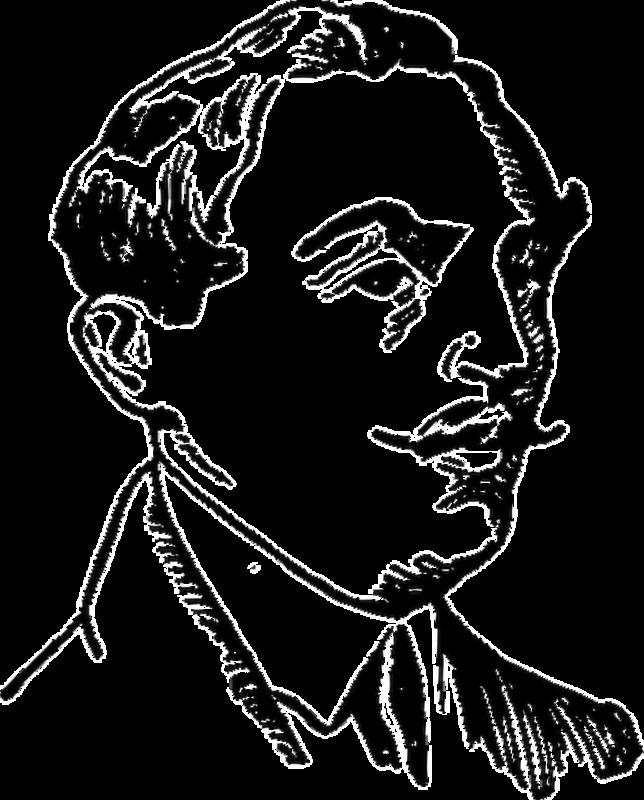 You are the first Doyle to become an author since Uncle Arthur." That really delighted me. I love the history of the moors that Emile Bronte and A. C. Doyle found so interesting. The stories and legends are really something. Thanks again, Faith, for your visit, commenting, votes, and all that sharing. Wow, Phyllis, I truly enjoyed reading this fascinating hub. The beautiful countryside during the day, then haunted at night by all, especially those huge hounds with glowing eyes. It is amazing that such accounts all relay sightings of huge hounds with glowing eyes ... gives one pause, most certainly! The history you have included and perfectly chosen quotes had much interest. I wonder if you are related to Doyle? Ohhhhh - okay, gotcha. You must be very popular, Frank. Glad I did not end up in spam. Hi Mary - you are such a motivating, inspirational hubber for me and I thank you so very much for your kind words. I don't recall how many times I have seen the original movie of WH and cry each time. I have very old copy of the book and read it at least once a year - it is like stepping back in time every time I open it. I love the Sherlock Holmes stories and Hound of the Baskervilles is a great move. Thanks again, Mary, for your visit and votes. This was such a fascinating hub. I couldn't say "haunting" because Seeker said it but I do have to agree. Everything about this hub is interesting from the moors to the Hound of the Baskervilles! Let's face it, who among us hasn't cried to Wuthering Heights? Beautiful pictures but then I would expect nothing less from you Phyllis. Greetings, Catherine. Thank you very much for those kind words - I appreciate it. Thanks for the votes and share, too. You write so beautifully. Your pictures and description of the of the English countryside are always so beautiful. Your stories of history, legend, and myth are truly a treat. voted up and shared. Hi Seeker7. I am so glad you enjoyed this hub. I had a lot of fun researching and reading the legends. Sherlock Holmes is a favorite for me, the original Holmes in the old movies. As for Wuthering Heights, gosh - I have been almost obsessed with it since I first read it years ago. I love Jane Eyre, too. I envy anyone who has actually been to the moors - someday I hope to do the same.Thank you so much for reading and commenting. What a beautiful and excuse the pun, 'haunting' hub. I'm from Scotland but I have passed through the moors - it was in autumn - and they were stunning! 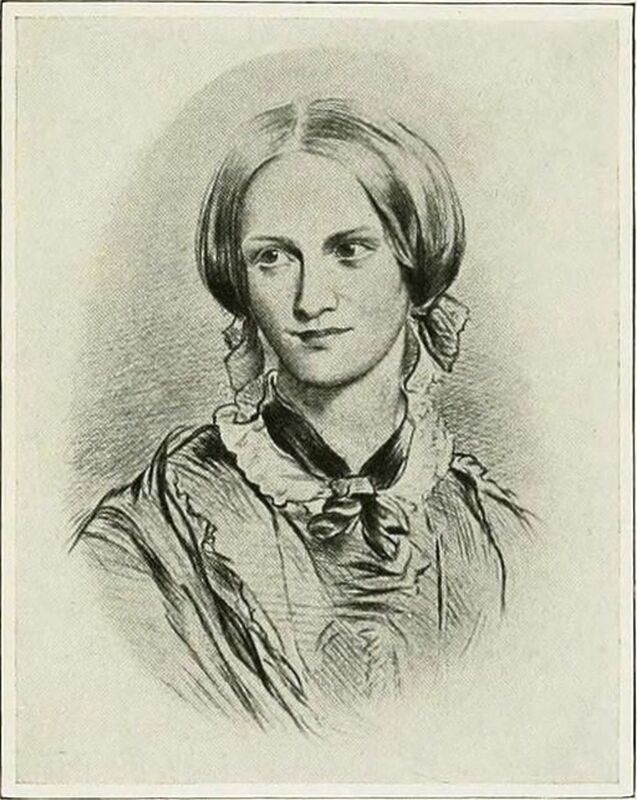 I'm not overly keen on the Bronte sisters apart from Charlotte's 'Jane Eyre', but Emily definitely captured the essence and mystery of the moors in her novel, 'Wuthering Heights'. As to Sherlock Holmes, well, 'Hound of the Baskervilles' is one of my favourite classics and still gives shivers up the spine! I can't honestly think of any other setting other than the moors that best fits this creepy story! I really enjoyed this hub and the fascinating facts you have uncovered about its ghostly dogs and other spirits. Voted up! Hi robie - so good to hear from you. Hope all is well with you. I love the original move of HOB. Sherlock is so suave and cool-headed. Thank you so much for reading and commenting. Hound of the BAskervilles is my alltime personal favorite Sherlock Holmes story.... now I think I must have a look at the Moorlands of Devon... at least in photos. Beautiful countryside. Thanks for sharing. If you want to know a little more about the area, have a look at my hub about North Devon. Thanks, Ann. I will save this information. It must be quite lovely there. Have sent an email to your website re Wuthering Heights, BTW. A great place to stay, if you visit Devon, is Lynton or Lynmouth, on the edge of Exmoor by the sea. There's a great view from 'Lynton Cottage Hotel'. Hi Ann. I love the name Lorna. I am familiar with the Lorna Doone story, but never actually read it - I need to put that on my list. You are familiar then with the moorlands. I have your area on my bucket list. I am so passionate about Wuthering Heights, since I was just a kid, and to stroll in places where Emily Bronte placed her Catherine and Heathcliff (and walked herself) would be so thrilling to me. Thank you so much for adding interesting facts to this hub with your comment. I appreciate your visit. I live quite close to north Devon and love Exmoor. My favourite story is 'Lorna Doone' a love story with plenty of vengeance and fighting families, based on the north Exmoor area which is full of deep valleys and high inhospitable moorland. R D Blackmore invented the name Lorna (probably something to do with the Scottish family name Lorne) and I gave that name to my first daughter. Fascinating hub about this lovely area. It appears in my hub list though. Yes, it has not been listed on my profile yet. Does it have something to do with it being featured first before adding it on to the profile? Don't know for sure why it hasn't though. It is listed, though not featured yet. It is right here in the STATUS page here at HP after the hub Wanting to Live by Yung Mi. Posted 5 hours ago. Phyllis. Dip, Season of Loss is not featured yet? I do not see it listed on your profile. And I have no email from you yet. Sure, Dip. I will hop on over and have a look. Hi Jodah - the moors really intrigue me ever since I first read Wuthering Heights when I was a kid. Arthur Conan Doyle was a distant relative on my father's side - so, naturally I love his Sherlock Holmes stories and Hound of the Baskervilles is my favorite also. Thank you, Jodah, for visit and all. I appreciate it as always. Phyllis could you kindly have a look through at my latest, Season Of Loss, and see if its okay with the callouts, full page images and ads, polls etc, and the note that you write at the end? This article has been written basically to determine the correct format for rating based on your inputs. Thanks. I have written a mail on this to you as well. Wonderful hub once again Phyllis. The moors have been the setting for a great many stories haven't they? 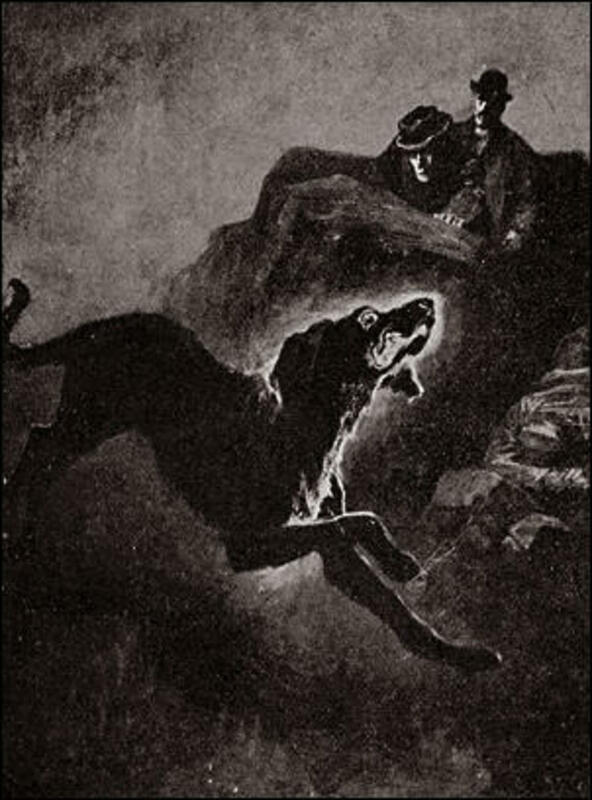 The Hound of the Baskervilles is my favourite of all the Sherlock Holmes stories and I am a real Arthur Conan- Doyle fan. I found the story of Squire Cabell very interesting too. Voted up of course. Hi Dip. Thank you very much for reading and commenting. Yes, you are catching on and you had a head start to writing hubs, for you really are a great writer. I was very happy to see your hub featured and read all the comments you are getting on it. You are most welcome. Thanks again for your comment. Great hub Phyllis. I had been to Devon once many years back, but it never registered then that these classics were framed around those parts. As I read your hubs, I also not the outlay that makes them stellar. I am catching on, albeit slowly. Thanks again, for being so helpful here at HP.